Hey all. Since starting this blog I’ve had a few people contact me with entrepreneurship questions. I’ve done my best to answer them but I have to admit that this is not me specialty, and I don’t really like taxes either. So, today we are calling in the professionals to get us started. Introducing Andrew Burgess from irs-ein-tax-id.com. Now please join us in welcoming our first guest poster here on the site. “If you’re an entrepreneur or are thinking of starting your own business, you might wonder how your tax responsibilities might change. 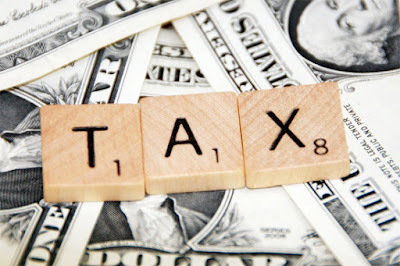 The truth is that starting a business is a huge undertaking that can absolutely affect your taxes as well as your life. One of the main things that can affect how you file your taxes when you have your own business is the entity under which you are conducting business. One of the most common options that professionals find themselves using is known as a “doing business as” entity. When you register your “doing business as”, or DBA, name, you will have to fill out particular lines when it comes to filing your taxes. In general, you will still need to fill out the tax form that corresponds to your business entity. A business entity is something like a partnership, an LLC, a sole proprietorship, or a corporation. In order to fill out your taxes properly, you’ll need to find the correct DBA tax form that works with your business entity, and fill it out completely and thoroughly. Pay special attention to the Schedule C, and make sure that you fill it out with the DBA name only when it comes to line C.
I hope that you were able to find that starting point helpful. If you have any additional questions let us know in the comments below and we’ll see if we can’t track down some answers for you.